Featuring the iconic songs Love Changes Everything, Seeing Is Believing and First Man You Remember, Aspects of Love is set in France in 1947. It is here that English student Alex Dillingham, travelling through France before his call up, falls in love with the alluring actress Rose Vibert. After a little persuasion, Rose joins Alex at his uncle’s villa. As the pair embark on a passionate affair, the unexpected arrival of Uncle George changes their lives forever. From the cobbled streets of Paris to the mountains of the Pyrenees, Aspects of Love is a heart-breaking love story spanning twenty years. Passion, desire, family ties and friendship bind six people and three generations together as they come to appreciate how love changes everything. First seen at the Prince of Wales Theatre in 1989, it made a star of Michael Ball and propelled him into the national arena. In it’s first major revival outside London and directed by Jonathan O’Boyle (Hair and Pippin) this new, intimately reimagined production of one of Andrew Lloyd Webber’s greatest hits is sure to take you on a thrilling and romantic journey through a tangled web of love and lust. 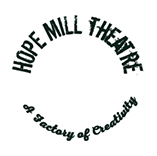 See why Love Changes Everything this summer at the Hope Mill Theatre.